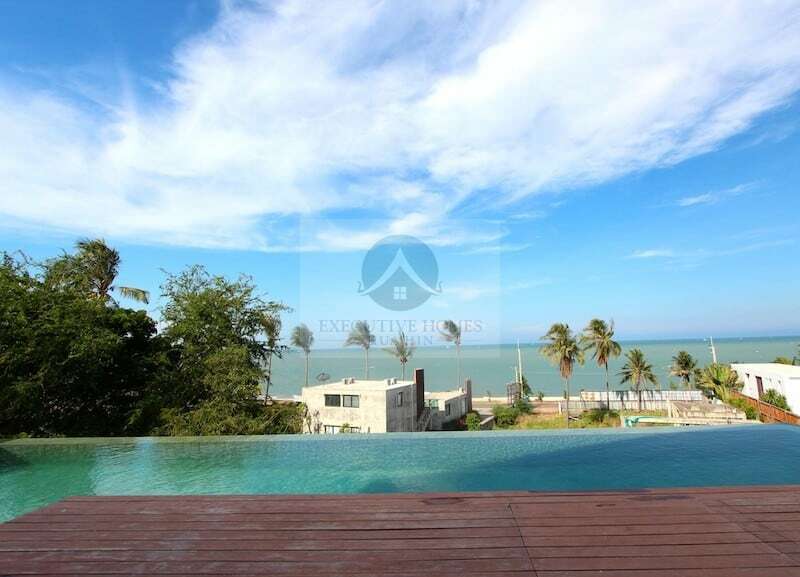 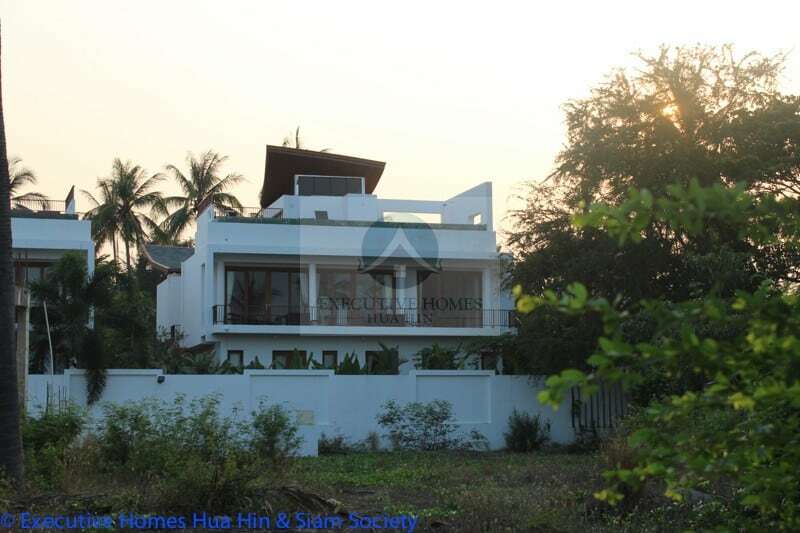 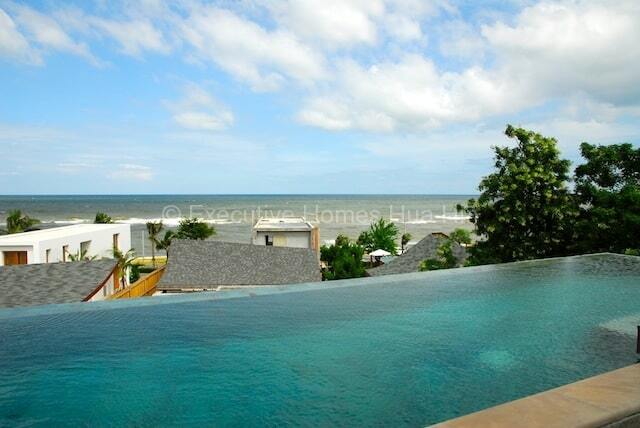 Have you been searching for an affordable Pranburi beachfront property for sale? 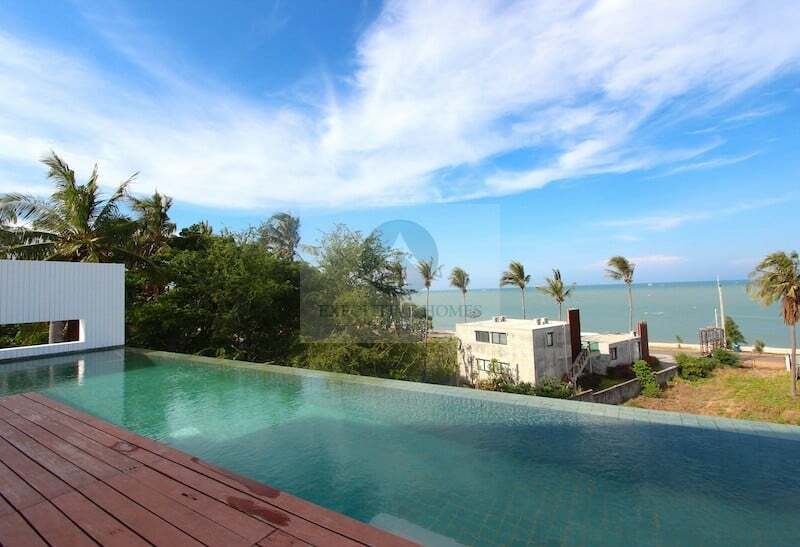 This beautiful 3 bedroom, 4 bathroom private pool villa is set in an elegant, tropical beachfront community along the popular Pak Nam Pran area (approximately 25 minutes south of Hua Hin), surrounded by five star resorts, great restaurants and abundant natural beauty. 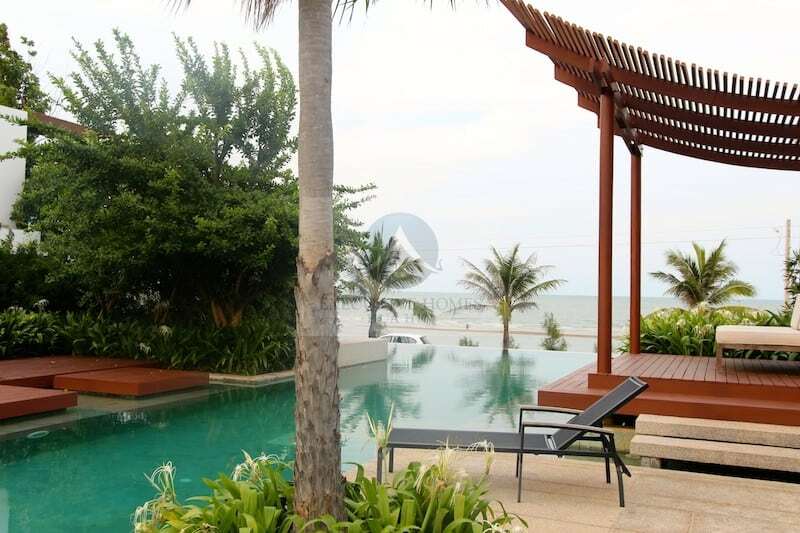 The development has been a winner of the prestigious Thailand Property Awards, and the modern design of the home maximizes the great ocean breeze throughout the day, as well as the magnificent sea views. 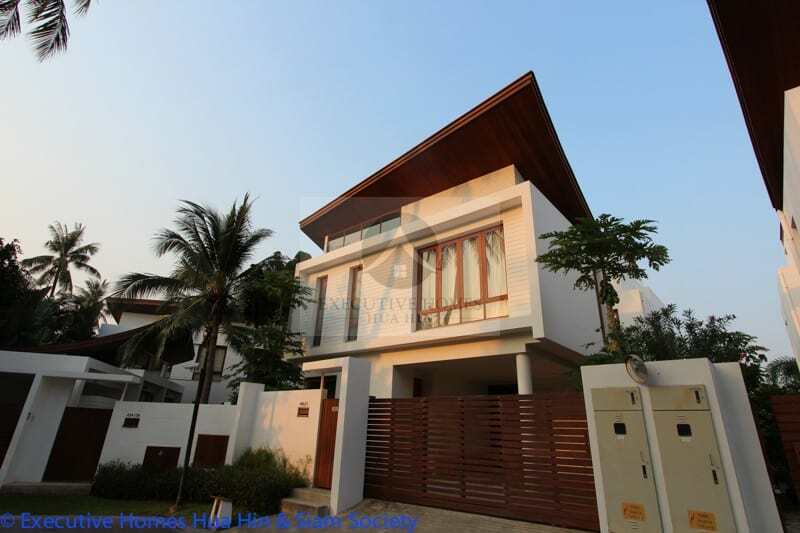 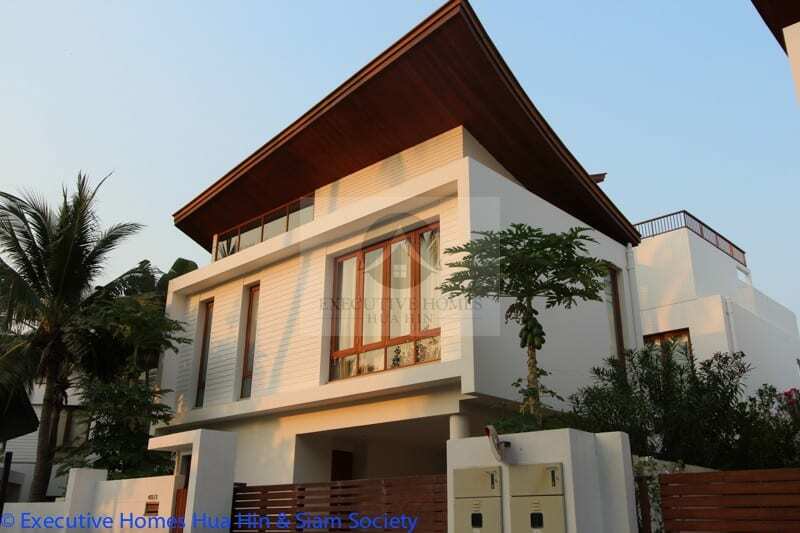 This 3 story luxury Pranburi home for sale features a swimming pool on the top floor with breathtaking views of the beach. 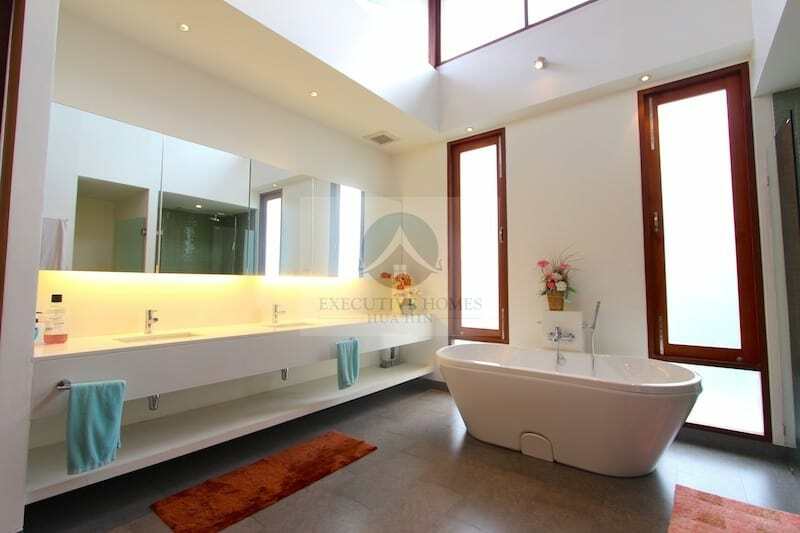 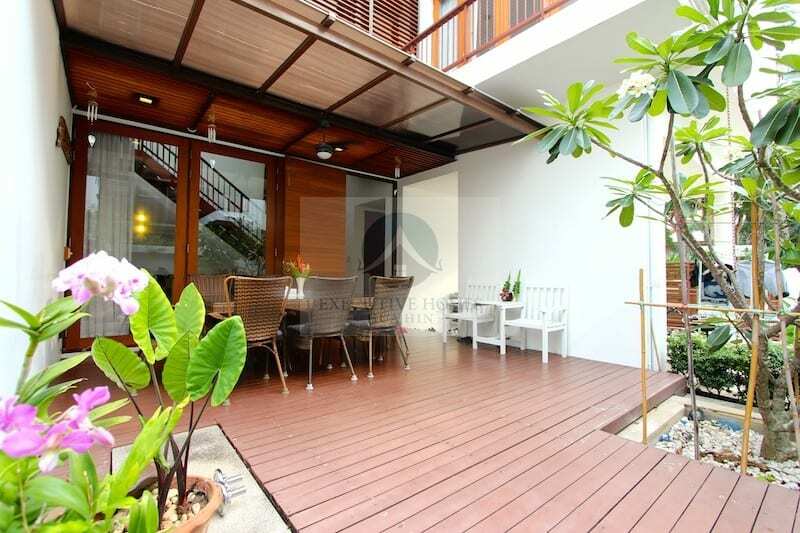 The quality of the villa is done to a high standard and it lends itself well for indoor and outdoor living. 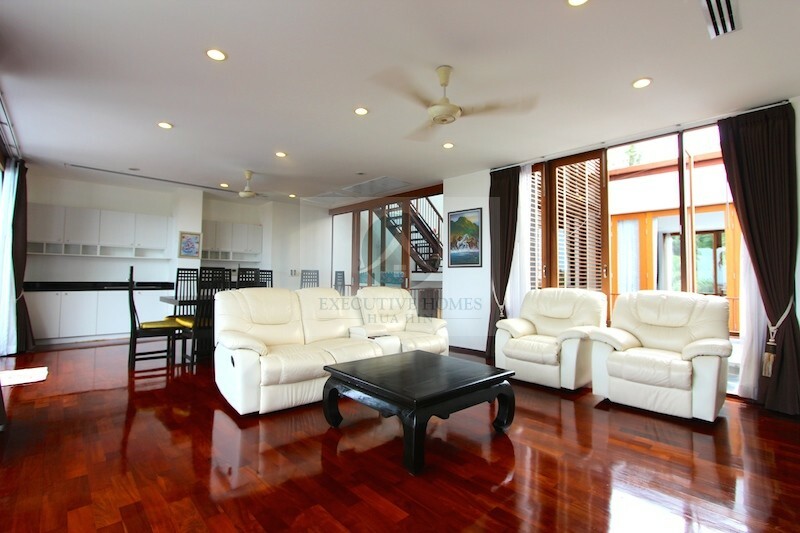 The lovely hardwood floors have been re-finished and lend a warm, tropical feel to the house. 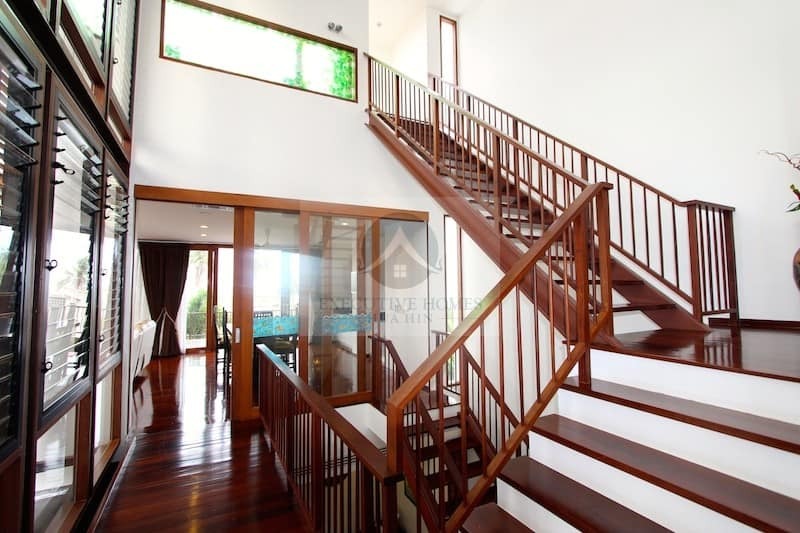 Nearly all the furniture was custom designed and built by Siam Old Teak, one of the best furniture companies in the area that uses reclaimed teak wood. 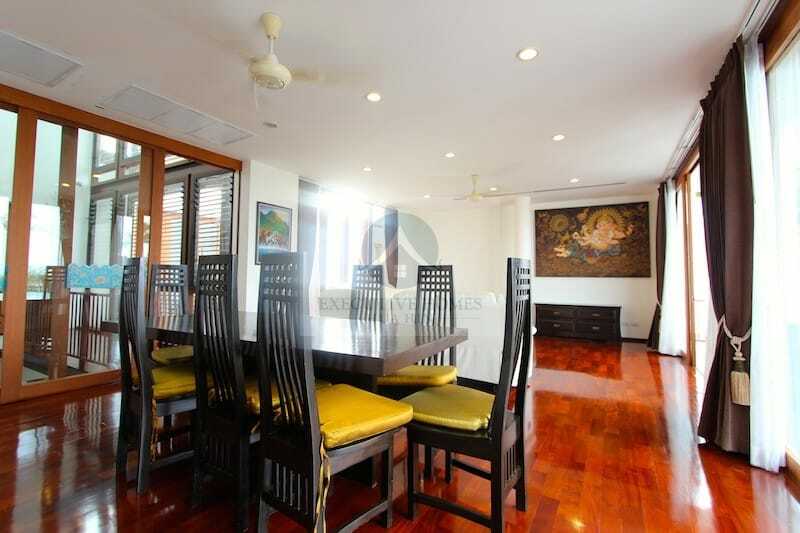 A large (27 meters in length), communal beach front pool, a high quality fitness center, a management office and 24 hour security are all part of the facilities. 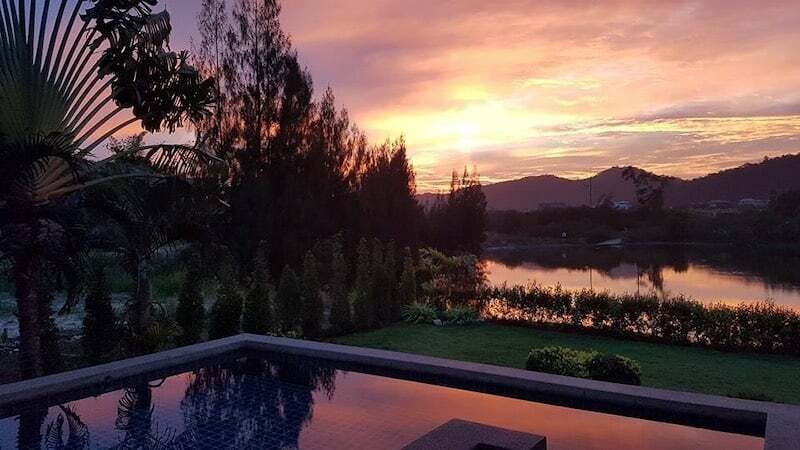 The area of Pak Nam Pran is renowned for its boutique resorts, its relaxed and unpretentious atmosphere, its beautiful, natural surroundings and the relatively affordable real estate market (compared with Hua Hin). 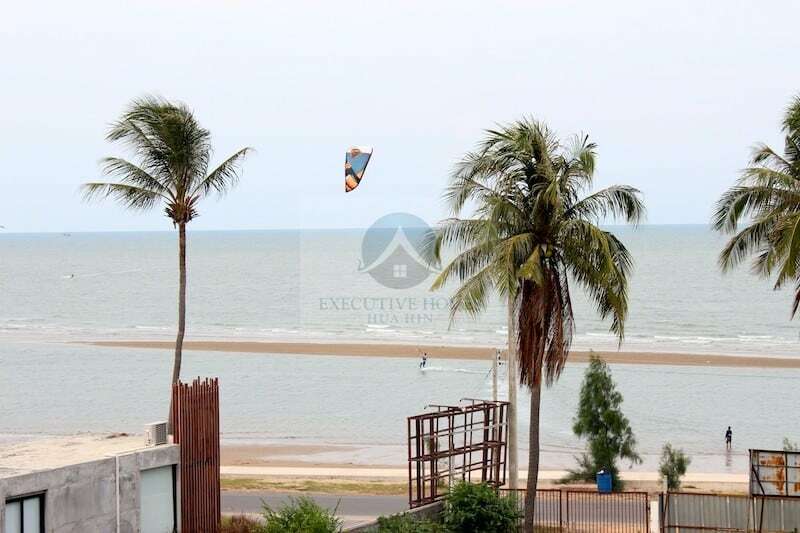 The area still has a lot of potential for growth, and property values are continuing to increase in this area. 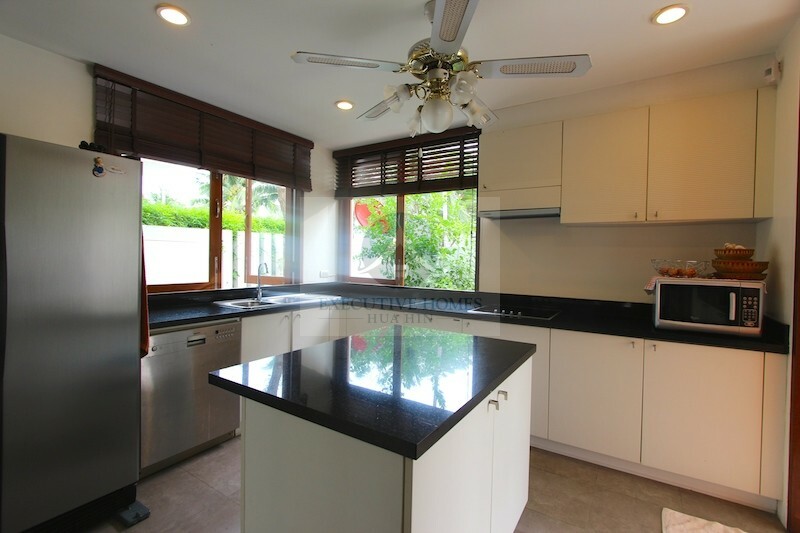 Now is a great time to invest in Pak Nam Pran and Pranburi!